It just so happens that today is the day that the Queen of Technology (for the Ashland School District) was born. I met this lady a long time ago… and was amazed at how computer savvy she was. She just seems to have a knack for understanding technically complex problems. Now I ask you, who in their right mind says that? Well, the Queen does. And she knew what an Allen Wrench was and she helped me (okay, I helped her) take apart my washer. We discovered that a lollipop stick had gotten lodged in the impeller and we were able to get the machine back in one piece. That evening, my husband took the Queen, her husband and me out to celebrate our success. I shudder to think what might have happened if I’d tackled this job on my own! 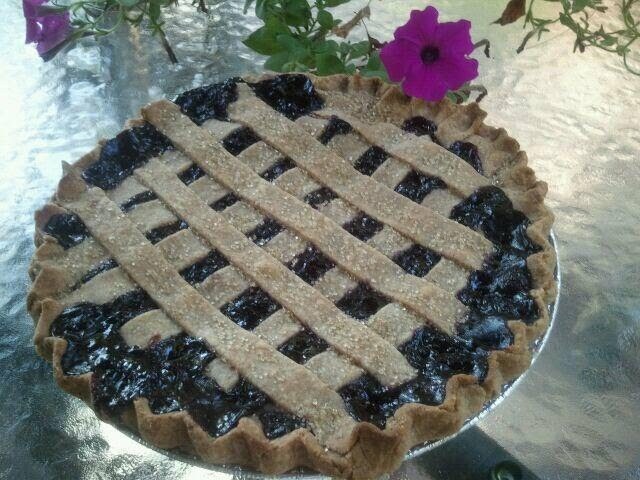 Tonight I delivered a Three Berry Lattice pie to this lovely lady and her husband. They are wonderful parents, amazing teachers and dear friends and I am very grateful to have them in my life.